You could say that Lynn Rafferty and Aïssa Maïga are turning heads. 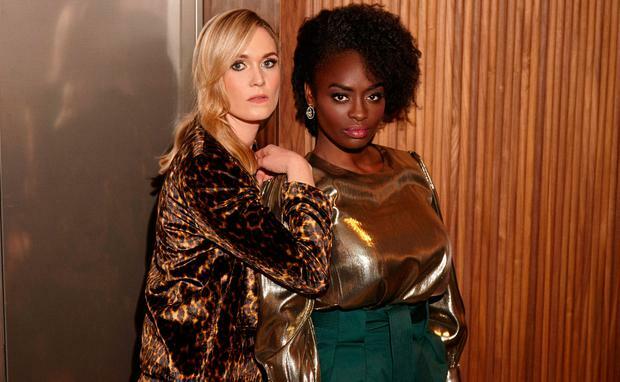 In fairness, it’s difficult to miss the Dublin actress and her French counterpart, who are posing up a storm in the lobby of hip city centre hotel The Alex – but if bemused onlookers are wondering who the pair in their glittery finest could be, they’ll be familiar with their faces very soon. That’s because Rafferty and Maïga are two of the stars of Taken Down, the new six-part crime drama from the pen of Love/Hate creator Stuart Carolan and bestselling novelist Jo Spain – which means they are set to follow in the footsteps of Nidge, Fran and co by becoming firm favourites with Irish TV-watching audiences. Eagle-eyed viewers will already know Rafferty from her role as Nadine – the long-suffering girlfriend of Aido – in the aforementioned Love/Hate, but she’ll take on her biggest part to date when she plays hard-nosed Detective Jen Rooney, who is thrust into a “twilight world of the new Ireland” when she investigates the violent death of a young Nigerian migrant close to a Direct Provision centre. 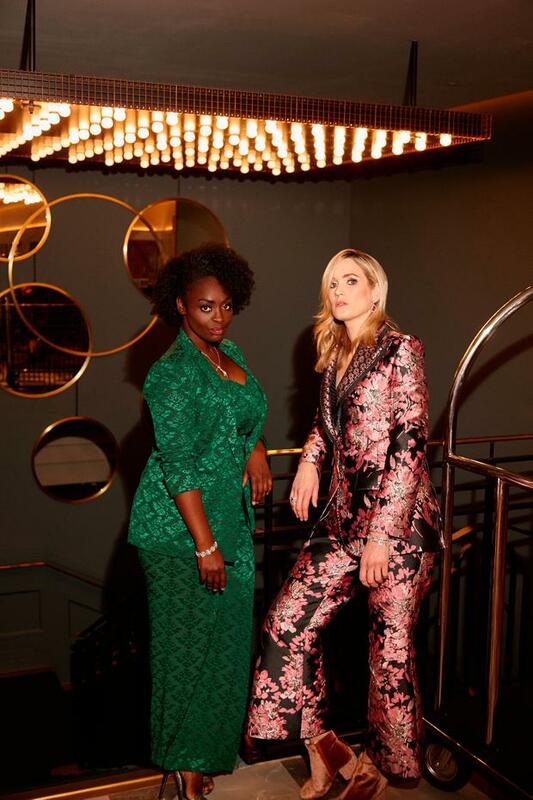 Hailing from Summerhill in Dublin, the 33-year-old actress – who has been based in Toronto for the last few years with her Canadian partner – says she jumped at the opportunity to play such a meaty role, which was won via a series of Skype meetings and self-taped auditions. Growing up in inner-city Dublin, Rafferty says that she was always artistic and particularly loved Whose Line is it Anyway?-style improv as a youngster. Yet even though she studied acting at Bull Alley Theatre Training School after leaving school, it wasn’t until her mid-20s that she took the plunge to pursue acting full-time. Since then, she has also held roles in the likes of Ripper Street and RTÉ’s Rebellion. 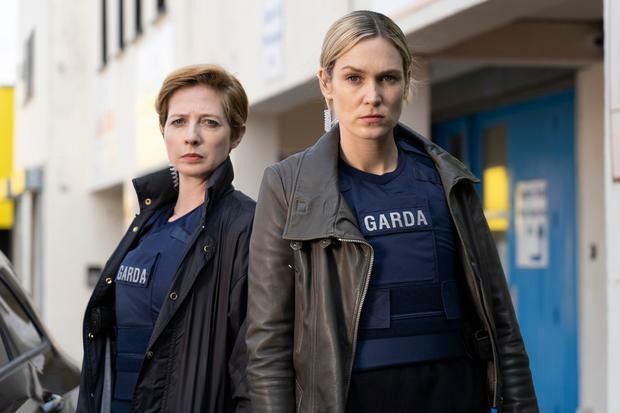 Rafferty still retains a passionate interest in the lighter side of entertainment – she is writing and developing her own sitcom back in Toronto at the moment, she says – but Taken Down undoubtedly deals with a weightier subject matter. Living outside of Ireland, she says that working on the show was an education. As successful as Love/Hate was, it also drew criticism for many of its female characters being one-dimensional or not as well developed as their main counterparts, but Rafferty doesn’t quite agree. 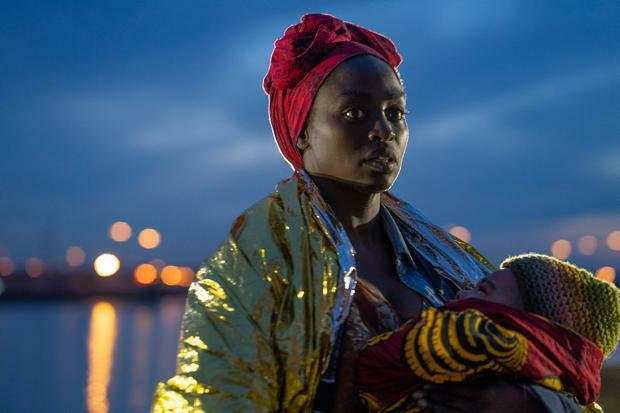 As a first-time visitor to Dublin, her co-star Aïssa Maïga was not only thrown headlong into the world of Irish TV, but some hard-hitting socio-political themes to boot when she took on the role of Nigerian refugee mother Abeni. Born in Senegal, the 43-year-old moved to Paris at the age of four and was raised within her father’s Malian family. She was approached for the role after being spotted in a French film by director David Caffrey. Maïga, who has two children of her own, was previously unfamiliar with both Love/Hate and the work of Carolan and Spain, having worked extensively in French-language film and TV, but was impressed by the research that clearly had gone into the script. Like Rafferty, Maïga was something of a latecomer to acting professionally. Although she recalls sneaking backstage at a theatre while on a school trip to see Hans Christian Andersen’s The Little Match Girl as a youngster, it wasn’t until her mid-teens that she began dabbling more seriously. A trip to Zimbabwe at the age of 19 to work with social activism-centred street theatre from the townships cemented her belief that it should become her life’s work. Indeed, that was one of the main reasons that drew Maïga – who recently worked with Chiwetel Ejiofor on his feature-length directorial debut The Boy Who Harnessed the Wind in Malawi – to Taken Down, she says. The challenge of taking not only an English-speaking role, but one with a Nigerian accent, also appealed. Although she has only spent a short time in Dublin, she admits that she has fallen wholeheartedly for Ireland’s charms – and hopes that the fact that our culture is so deeply entwined with emigration will mean that audiences will be especially responsive to Taken Down’s themes. Rafferty has similar hopes and aspirations for the potentially career-making show that is being waggishly referred to as the Scandi-noir version of Love/Hate. She laughs when I bring up the show’s potential to be as big as something like The Bridge. “That would be the goal and the dream – if Jen Rooney was anywhere near as popular as Sarah Lund, I’d be very happy,” she chuckles. “If she was even as popular as Sarah Lund’s jumper, I’d take that!